2017 was a year of continued growth for the Center for Social Change. 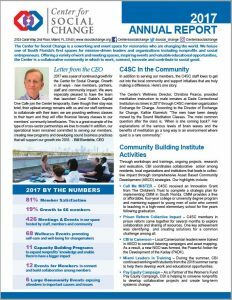 Growth in all ways – new members, partners, staff, and community impact. Check out our 2017 Annual Report to learn more!